Medicine at St Vincent's Hospital undertakes basic, clinical and applied research in a range of areas. The ultimate goal of our research is to improve the treatment of human disease. Driven by clinical questions, our work covers aspects of the basic mechanisms of biology and physiology, clinical and community-based epidemiology, and clinical trials of new therapies and devices. We have outstanding academic and professional staff, bringing a range of clinical, research, teaching and administrative skills. 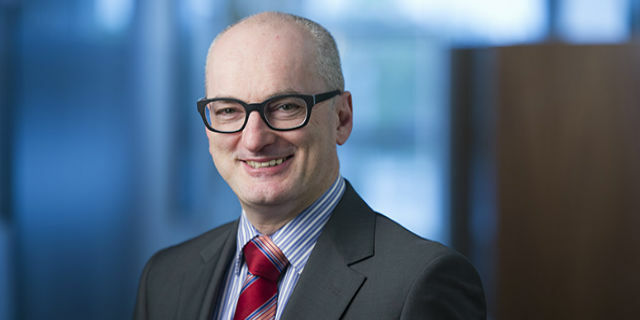 Professor Mark Cook, Sir John Eccles Chair of Medicine, St Vincent's Hospital, and Head, Department of Medicine and Radiology, specialises in the treatment of epilepsy. He is also recognised internationally for his expertise in epilepsy management, particularly imaging and surgical planning. In more recent years his interests have included computations models of epilepsy and seizure prediction, and cortical excitability. Research with a commercial focus has been a major activity over the past 8 years, concerned with the development of an implantable device to treat epilepsy and novel polymer based drug delivery systems. He is also Director of the Department of Neurology at St Vincent’s Hospital, a position he has held since 2002. Medicine at St Vincent's Hospital has a wide breadth of research interests that span basic wet-lab science, health economics and clinical epidemiology, clinical trials that test efficacy of new drugs and life style modifications and extend into the area of translational research. The core research foci have been on diabetes and its complications, kidney disorders, vascular disease, nutritional intervention, inflammation and thrombosis. New areas of activity include clinical neurosciences with a focus on epilepsy, innate immunity and infectious diseases, genetics of leukaemia, inflammatory bowel disease and other gastrointestinal disorders, and health outcomes.